Win 10 Universal Gun Racks for Your Department! As sharks don’t concern themselves with pilot fish, at Santa Cruz we don’t worry about wannabe knockoffs of our products. We view them with pride, as compliments of our quality and industry leadership, understanding that it is only natural to try and follow and emulate the leader. Our unwavering focus remains forever unchanged: to serve those who protect and serve with the utmost quality and integrity, as some day, a life may depend on it. The many brave men and women who have trusted Santa Cruz products for over 25 years, to keep their long-arms at hand for when they’re needed the most, need no explanation. They see, feel, use and understand the Santa Cruz difference. 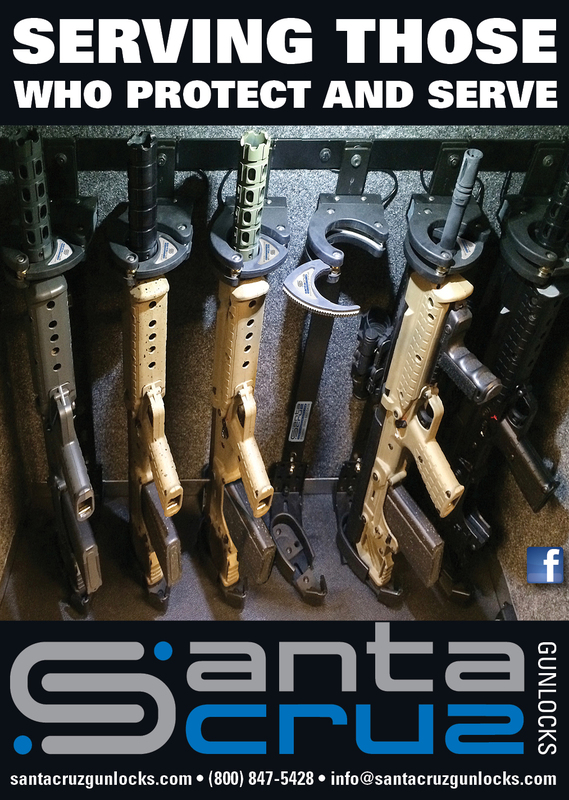 Share your Santa Cruz story on our page to enter to win 10 Santa Cruz Universal Gun Racks for you and your department. Like our page and share this with your fellow officers to give them a chance at winning and experiencing the Santa Cruz difference as well. The story receiving the most likes by 12:00 am EST on March 14th will be the winner of this giveaway.